If you're having marriage problems thanks to the economy, you're not alone. Here's how to keep financial worries at bay and cure your money woes. The chatter never stops: If it&apos;s not the awful unemployment figures or the continuing home foreclosure crisis, it&apos;s advice on how to slash your spending or fix your 401(k). And if you&apos;re like most couples, too many financial discussions end up heated, personal—and counterproductive. "I&apos;ve never seen this level of anxiety and insecurity about money in my 25 years of practice," says Michele Marsh, PhD, a Philadelphia therapist. "Even couples who are doing okay worry that the other shoe could drop at any moment." The problem is, people tend to ruminate on all the possible bad scenarios, says Marc D. Rabinowitz, a marriage counselor in Norfolk, Virginia. "They&apos;re walking around upset that they&apos;re going to lose their lifestyle and never get it back." Worse, they fear that their ability to provide for their kids—now and in the future—is in danger. And once you&apos;re in this anxious survival mentality, it&apos;s tough to find energy left for everyday family life, let alone your marriage. What makes today's situation even more problematic is that few of us are equipped to deal with the depth and breadth of the downturn. "This generation is used to living in an atmosphere of plenty," says Rosalind S. Dorlen, PsyD, a clinical psychologist in Summit, New Jersey. "When the good life is threatened or taken away from you through no fault of your own, you can feel ripped off." And guess who's the target of all that frustration? The person closest to you. But tough times don't have to cut so deeply. There are plenty of ways to mend money woes—and along the way make your relationship stronger and closer. You managed your money carefully. But you can't get a car loan because of the credit crisis, and your boss has reduced your hours. Now your husband and you are lashing out at each other. Emotional Rescue: Declare a truce on the potshots—which upset the two of you as well as the kids—and remember who you're angry with. "It's the economy, not your partner," says Elizabeth Dickson, a New York City psychotherapist. Vent if you must, but use "I" statements ("I'm so frustrated! We played by the rules, but look where that got us."). And show empathy when you're the listener ("Yes, it's unfair that we've all been hurt."). "If you minimize each other's feelings about the recession, you'll end up fighting about how you're being unsupportive," says Don C. Damsteegt, PhD, a couples therapist in Cedar Rapids, Iowa. Instead, remind yourselves what's positive in your lives, including things still under your control. And turn off the news. If one of you tends to shout at Fox or MSNBC, the other should say, "Let’s watch a movie." It was your idea to splurge on a kitchen renovation and his to replace the second car before the first was paid off. Nobody monitored your 401(k)s—and now you're pointing fingers. Emotional Rescue: The only reason to dredge up mistakes is to learn from them. "Continually berating yourself and your partner creates wounds that aren't easily healed," says Dorlen. It's tough to solve problems unless you both agree to drop the blame game. You can't sleep for fear that one of you will be laid off. He's so stressed from putting in extra hours to save his job that he can't eat. You're both sick of each other's complaining. Emotional Rescue: Put your money worries on the table (in private; the kids don't need to know how upset you are). Stick to why you're feeling stressed (rumored layoffs, shrinking college fund) and save other subjects (the grocery list, carpool schedule) for another time. No matter what, don't accuse each other, which leads to pointless, escalating arguments. Have these conversations regularly—maybe once a week—but the other days, skip the stress talk unless you need to decide something specific. "Obsessively talking about an issue creates anxiety that builds on itself," says Rabinowitz. His self-esteem went south when he got laid off and had to take a lower-paying job outside his field. Or you're the one pounding the pavement and wondering what just happened. Emotional Rescue: When the going gets tough, the smart marriage move is to bring on compassion—probably when you least feel like doing so. Don't grill your husband about whether he sent out resumes. Instead, ask exactly what kind of help he needs, then offer it. If you're the one who lost your job, you should expect your husband to deliver the same tender loving care to you. But also turn to friends. You need to acknowledge your sadness, fears, and frustrations, but don't let yourself wallow in the feelings. Instead, reframe your thinking: The recession and pink slip are nobody's fault, and no matter how much you loved your job, it was what you did, not who you are. Your vision for the future disappeared along with much of your savings. Forget the cruise for your anniversary or adding on a bedroom. Emotional Rescue: Talk about what your old goals meant to you, mourn the loss together, then make a pact to live with what is, says Dickson. Set new priorities to match your present circumstances. Instead of going on a big family vacation or building a teen hangout in the basement, says Rabinowitz, consider going away for the weekend to a nearby beach or painting your living room, with pizza and paintbrushes for everybody. It's the sharing of the experiences, not the money spent creating them, that matters most. 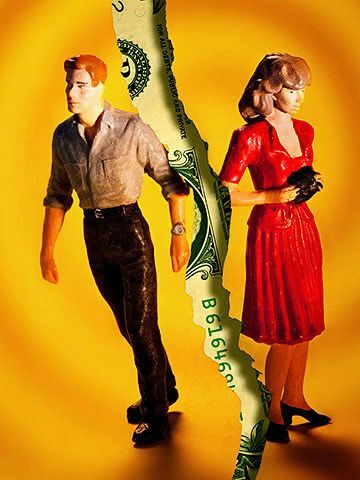 Opposite money-management styles can really complicate a marriage. "The differences you may have glossed over before can't be ignored now, because there's less money," says Marcia Brixey, author of The Money Therapist: A Woman's Guide to Creating a Healthy Financial Life (Seal Press). 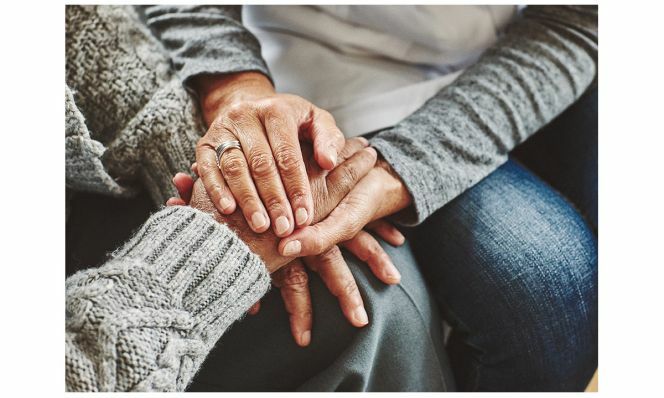 But there are plenty of things you can do to find common ground, says Katherine Yost, PhD, a marriage and family therapist in Bellevue, Washington. With planning, everybody can adapt to the new economy and have his or her emotional needs met at the same time. For starters, says Yost, let the spender spend. People who are told "No" to everything begin to feel resentful and deprived, and sooner or later (after a fight or on a bad day at work) they'll break out with a spending binge. Everybody gets at least a little discretionary cash—and with it a sense of freedom. Similarly, allow the saver to save. Putting some money away for a rainy day is fiscally sound, yes. But people who keep a tight rein on spending need to continue doing so to ease their sense of helplessness about what's in the news or what's happening at work. A dollar saved feels like insurance to them. Most important, though, is to make new couple rules. "When financial guidelines are explicit," says Yost, "the whole family does better." Create a fun slush fund. Take a certain sum from every paycheck—say $20—and decide what it'll go for, maybe a matinee movie. On off weeks, scope out free local events. Save money regularly. It doesn't have to be a lot—socking away even just a few dollars a week is a habit that's reassuring when times are tough. Give each partner a weekly allowance. This amount can be spent without consulting the other. It's for the daily stuff—parking fees, filling up the tank, your morning latte fix, etc. Plan gift-giving ahead of time. Decide how much you'll be able to spend on family and friends for each of the upcoming holidays and birthdays. Discuss indulging the kids less. A lot of people want their children to have everything. But it's healthy for them to see you prioritize, and to learn to wait and do with less. Really. Originally published in the May 2010 issue of Family Circle magazine.